The only exception is Malaysia, which has a relatively developed local sukuk market (at USD116 billion of local corporate sukuk issuance). The return to debt issuance in 2018 by many governments (although not at the same level of 2017) could help encourage growth in the private sector’s sukuk market. This, along with the efforts to establish a basic sukuk market ecosystem and enhance infrastructure and processes for corporate debt issuance, could also make sukuk more attractive for corporate and financial institution (FI) issuers. 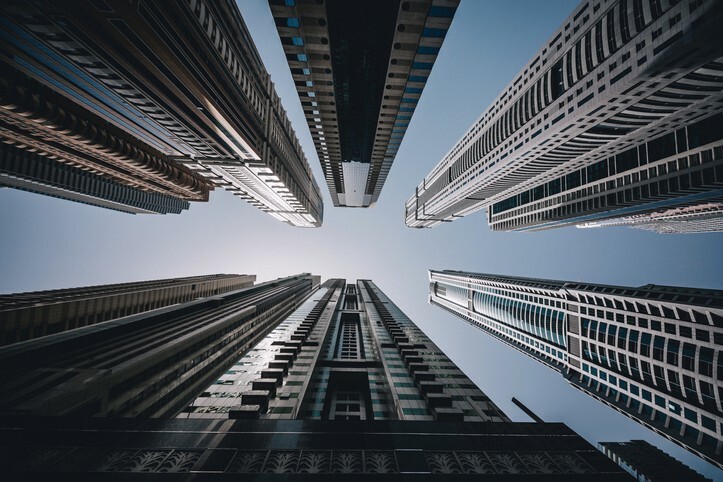 Banks continue to be the primary source of funding for corporates in the GCC due to a number of factors, including historical financial and economic regulations, and the type, size and development of the domestic corporate base. Banks are primarily funded by deposits from customers and the government rather than capital markets and we do not expect this to change in the medium term. 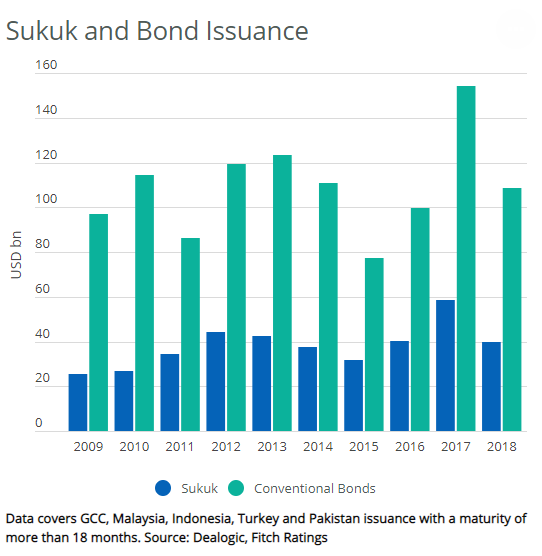 Nevertheless, GCC corporates are more likely to issue sukuk than bonds because of the wider local and regional investor base for sukuk — the corporates’ own rules around sharia-compliant borrowing or requirements for inclusion in Islamic market indices. For instance, Saudi Arabia’s local bond and sukuk market amounted to SAR400 billion as of June 2018, with about 50% from the sovereign, 24% from corporates and 23% from FIs. Sukuk were 55% of total issuance and 95% of total corporate issuance. However, Saudi Arabia’s international corporate sukuk issuance is still very limited. Likewise, in Malaysia, sukuk were almost 60% of total outstanding bonds and as of August 2018 sukuk amounted to MYR820 billion. In contrast, sukuk issuance has been much smaller in Indonesia with total outstanding corporate sukuk at just over USD1 billion. It is also small in Turkey, mainly due to the country’s relatively new regulatory sukuk framework and the still-developing nature of corporate capital markets. However, there is ample room for growth in Indonesia and Turkey’s corporate and FI sukuk market because it remains almost under penetrated compared with Malaysia and other developing capital-market countries. Sukuk issuance in the ten largest markets fell last year following record issuance in 2017. We do not believe this reflects long-term trends but it shows how issuance volumes can be influenced by the activity of individual borrowers, notably oil-exporting sovereigns. Sukuk issuance with a maturity of more than 18 months from the Gulf Cooperation Council (GCC) region (Malaysia, Indonesia, Turkey and Pakistan) totalled USD39.8 billion in 2018 — a decline of nearly one third from the previous year but in line with the 2012–2016 average. As capital markets in the ten largest sukuk countries become more efficient, sukuk could become an attractive alternative to funding from banks because they can help lower the cost of capital, especially for longer-tenured debt. This is also true as Basel III requirements of higher liquidity coverage ratios for banks could make long-term loans less viable and more expensive for businesses to attain. This, in turn, could foster increased issuer participation and even encourage the development of hybrid, exchangeable and other types of debt, like sukuk. The sukuk market could grow significantly in the near to medium term as key Islamic capital markets develop, through optimising issuance processes and costs, increasing issuer and investor education about sukuk’s benefits and risks as a debt instrument, developing an effective and efficient process for settling disputes and strengthening the regulatory and legal framework to offer credible investor protection. However, a sharp recovery in oil prices could lower the impetus for sukuk issuance by reducing the potential for capital market reform and decreasing sovereign debt issuance.